As school safety funding continues to increase, more and more schools can now implement high-tech, integrated security systems for greater protection and peace of mind. A comprehensive security system can have a positive impact on school safety, but security is never a one-size-fits-all solution. It’s always important to take a school’s individual challenges and design into consideration. 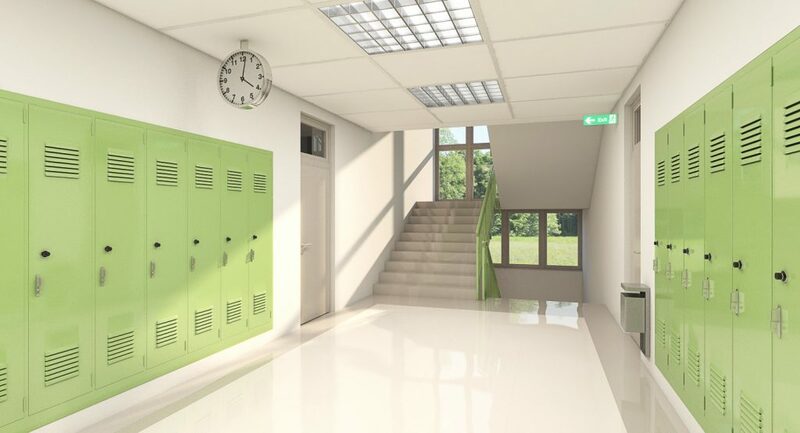 Despite the many ways an integrator can design a school security system, however, there is one key component that almost always remains consistent in importance: surveillance. Many schools have installed, or are considering to install surveillance cameras to create a safer environment for students and faculty. The appeal is self-explanatory: having the ability to monitor and record activity is valuable for safety and security. But schools can use surveillance cameras in more ways than one to take protection to an even greater level. For example, by integrating cameras with a remote video monitoring service, schools can ensure that a security specialist is available to handle onsite events as they occur. Remote monitoring is especially effective during after-school events and overnight hours when less people are present. This is when schools are at a great risk of trespassing and vandalism. In addition, schools can give law enforcement access to live video feeds during emergencies. This would provide police officers and first-responders with visibility into the building so they can respond in the most efficient manner. While many students, teachers, and parents feel reassured by surveillance, others are not so convinced. There is a growing concern that surveillance does more harm than good by jeopardizing student privacy. Privacy advocates worry that increased surveillance could lead to overzealous punishment for minor infractions. What happens when surveillance is installed to prevent violence, but catches a student leaving class early? Additionally, some argue that too much surveillance could create a negative and uncomfortable atmosphere at school. If students know their every move is being monitored and recorded, they might get less enjoyment out of the school day. So where should schools draw the line between heightened surveillance and privacy? The benefits of school surveillance are clear, but so are the concerns for student privacy. Fortunately, schools do not need to sacrifice either for the other. Instead, administrators can be cautious when implementing surveillance to achieve a delicate balance between safety and privacy. Install cameras in areas with a low expectation of privacy, such as entrances and exits, hallways, stairways, etc. And finally, it is critical to remember that school safety involves a multi-faceted solution. Surveillance is only a piece of the puzzle; your school needs integrated security technologies working together to protect your grounds and building, along with the right people, policies, and training programs in place. Peace of Mind Technologies (POM) is New York and New Jersey’s premier systems integrator for school security and surveillance technology. We have experience designing, installing and servicing fully integrated security systems for schools that cover everything from alarms and access control to remote video monitoring and emergency management. We make it a priority to keep schools in the community educated about the best safety practices and products out there. To get in touch, give us a call at (212) 688-2767 or contact us online today.